January calling, so what do you need Juventus? Not many Juventus fans even in their wildest of dreams foreseen the kind of impact Antonio Conte would have at Juventus, at the start of the season. Cut over to the festive period and Juventus are in a dog fight not for Champions League places but in a race for the Scudetto, at joint top in the standings, still to lose a game in the league. The summer gone by was a vital time for Juventus, for it was a club trying to get back to its lost glory and several names were brought in to begin afresh after the disappointments of the last couple of seasons, the likes of Stephan Lichtsteiner, Arturo Vidal, the play making genius Andrea Pirlo and none more important than Conte himself who vision for a Juventus of old is seemingly heading for fruition. However, with a few holes still to cover and the impending Financial Fair Play(FFP) regulations coming into effect next summer, January is going to be a busy period for the Bianconeri. So who could Juventus buy in January? In the current Juventus setup, if there is one area of immediate concern for the club, it is the left back situation. Paolo de Ceglie doesn’t quite seem cut out for the role after having returned from his injury which has resulted in arguably Italy’s best centre half Giorgio Chiellini being played as a left back. Not that the system hasn’t worked, but playing your best defender out of his natural position is not a long term solution. 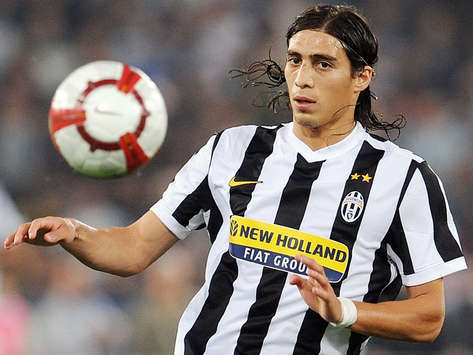 Sevilla’s Martin Caceres is the odd’s on favourite to be brought in for the role, albeit on loan or a permanent deal, for his second spell at the club. The Uruguayan’s previous spell was quite eventful and the ambidextrous fullback still enjoys popular support among the Juventus faithful and would be heartily welcomed back to put Juventus out of it’s left back paradox and as a valuable add on, he would also provide an alternative to Lichsteiner should the marauding Swiss fullback ever need a rest. Could Caceres’ return resolve the fullback paradox? Staying with the defensive side of things, another name linked with the Bianconeri lately has been that of German international center back Mats Hummels, not that Juventus urgently need a centre half, but Hummels could prove to be a vital cog in the Juventus machinery should Conte wish to predominantly use Chiellini as a leftback and not as a central figure in defence. Hummels has only recently stated his feeling of being honoured about Juventus’ interest in him. Should a move be made for the German, it would be a long term solution but would come at quite a steep cost. The cheaper alternatives to a potential center half signing would that of the Brazilian pair- Rhodolfo and Alex. The former was continually linked with Juve during the summer and is rated as one of the best center backs playing his trade in Brazil, while the latter is much more established in Europe and currently on the transfer list at Chelsea after having falling out with his manager Andre Villas-Boas and would certainly play no more part for the Londoners. The need for a center back is not immediate and certainly is not a pressing concern for the Bianconeri but a cut price deal for Alex especially who is quite experienced in Europe could be in the offing and one that would provide a vital and experienced alternative in the Juventus backline as well as the room for maneuvering to Conte. In central midfield, Juventus has some of the best players in all of Europe with summer signing of Andrea Pirlo proving to be a master stroke and fellow new arrival Arturo Vidal adding the much needed bite and tenacity to the midfield. To complete the trio, Claudio Marchisio has sounded his arrival as one of the best players in Italy. However, the situation around the backup of the trio is more dodgy, currently only Michele Pazienza and youngster Luca Marrone serve as back up and at a club where three in midfield is a norm an addition should be vital for a title push. Time to get your big move Montolivo? The rarely accurate and widely off the mark rumour mill has linked Juventus with two midfield players in particular – Angelo Palombo and Riccardo Montolivo. Both are quality and both would be heavily involved in the first team action should a move be made but one potential hinderence for Palombo could be his reluctance to leave Sampdoria. He stayed loyal to them despite relegation last season and a big bid and contract could be needed to turn his tide towards Turin. 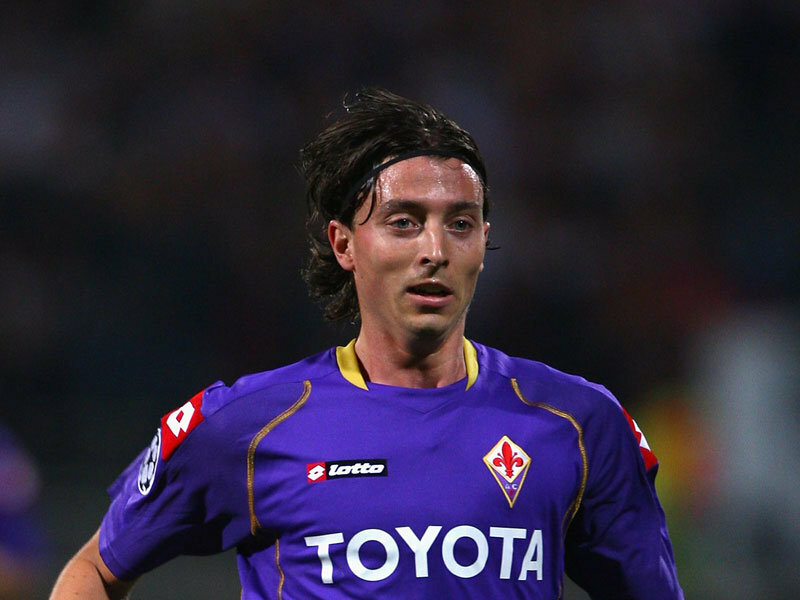 Montolivo meanwhile is not only a more viable option but also a more long term one. The Italian international would be available on a free in the summer and with no maneuvering available to Fiorentina his price would be low. In midfield, Montolivo would be a good alternative to Pirlo with his passing range and would with equal ease fit alongside him and the quartet in midfield would essentially be base on which Juventus’ success shall be built. And finally, in terms of the attacking options, this ‘mercato’ might finally see the end of the much derided Amauri in Turin and former Italian internationals Iaquinta and Luca Toni both seem headed for the exit door as well, while Quagliarella’s fate hangs in the balance. Quite naturally Juventus would be interested in acquiring reinforcements to shore up their attack. Man City’s Carlos Tevez was briefly linked and would have been a key mix of creativity and finishing ability to lead the Juventus attack but with the Argentine seemingly headed rivals Milan, Juventus seem to have their sight set on Roma’s Marco Borriello. How Boriello would be an improvent over the current options at Juventus is baffling but as the reports suggest, he might be the closest to signing for Juventus. The season has gone rather well for the Bianconeri thus far, better than what most would have imagined and a few key additions in the January mercato could help give Juventus the vital push towards elusive Scudetto. Previous PostSimon(e) says, get me some super Pepe!Next PostThe story of ‘Il Capitano’ del Piero: 700 down and just 7 to go?